Happy New Year and welcome to 2016!! I had the privilege of presenting these pieces. I am humbled and energized by the support you have given me. This record is for you! With Babies and Dogs includes live versions of all 16 tracks from Under the Covers and new live arrangements of 5 tunes from my debut album, Both Sides of the Story. In addition, the album concludes with 2 live bonus improvisational pieces featuring member of the Portland Eclectic Music Society! Greetings my friends and I hope the fall season finds you in a place of gratitude, peace, and creative thinking! I know I have so much to be thankful for in my life right now and I want to share a few of those things with you today. Upcoming Show - UNDER THE COVERS LIVE! When - Saturday November 14th, 2015 at 7:00 p.m. I am excited that since the release of "Under the Covers" I have been making nice traction on the Social Media/Indie Music site ReverbNation and as of this week I broke into the Top 20 (#13 as of today!) of local Portland Artists. Check out my page and Fan Me! :) I will be honest in that I don't perform with rankings in mind and I do take this with a few grains of salt. That being said, it is kind of fun to be gaining a little exposure and getting to connect with some new friends and great musicians in the Portland area and around the world! You can view my ReverbNation page at https://www.reverbnation.com/ragonlinde?profile_view_source=header_icon_nav. Thank you for reading this months newsletter and I hope to see many of you at the Under the Covers Live show next week. Please lend your support by sharing the links below with your friends and family, and for those who celebrate Thanksgiving, I hope you have a safe and positive experience! Finally, if you need musical entertainment for your upcoming holiday party or event, please reply to this e-mail and I would be happy to learn about your needs. I can provide a variety of original and cover material as well as many holiday favorites! Hello and welcome to early Fall! September went by so quickly and while I have been thinking about some new topics for this months newsletter, I have decided to make this one short and just focus on getting the word out on a couple of exciting performances coming up soon! When - Sunday October 11th, 2015 at 7:00 p.m.
Branching into new territory, I will be performing, along with many other wonderfully talented singers, at a Recital hosted by my vocal and yoga teacher, Becca Stuhlbarg. This concert will feature music by Kurt Weill and Stephen Sondheim. I will be performing two selections from Sweeney Todd, "My Friends" and "Johanna"! The talented pianist Jennifer Creek-Hughes will accompany. This is sure to be a fun evening of music! Under the Covers - LIVE! This has been such an exciting year for me releasing my second solo album, Under the Covers. It has been such a great pleasure to share this album with many of you in several different formats and events. Please join me as I will be performing all 16 songs from the album in a special concert setting at Vox Academy. I am excited to share this music about Finding Meaningful Connection with others in this unique setting and I have invited the following special musical guests to perform with me on various pieces. Tickets will be sold at the door with 100% of the proceeds being donated to Vox Academy, which is a non-profit vocal education academy. I hope to connect with many of you at these upcoming performances, and please keep me in mind if you need music for your upcoming holiday gatherings. As always please help me spread the word by sharing the links below with your friends and family! Hello everyone! I was thinking about discussing practice in this month's newsletter. However this past weekend on a short trip to Seattle, as I was walking around downtown near the Space Needle, I was also thinking about the concept of inspiration. When are we actively seeking inspiration, or do we just learn to be open to it at all times? Then it came to me, is practice just really a form of being creatively inspired? So for any of us that studied music at any level, and over any length of time, we have all heard about how much more time we need to be spending practicing our instrument. As a child, we are often practicing so that we can demonstrate to our music teacher that we got a little better at playing whatever they assigned, and our parents won't be embarrassed after the lesson when the teacher tells them that their kid isn't practicing enough. Trust me, I have been that kid, I have been that music teacher, and I have been that parent. So yes, learning the fundamentals of any creative and/or athletic activity takes repetition - i.e. practice. But, my experience is that model of practice is flawed and doesn't successfully keep kids engaged over the long run, but instead frustrates them and makes them resent the activity. I have been thinking the activity of finding inspiration and engaging in true practice to be one in the same. For me it is music, but think of the activities that you are truly passionate and care the most about. Think about the art of being committed to something. The practice of becoming committed and being engaged is a true source of inspiration. I think about music all of time when I am not playing it, I am thinking about the business end of my art, my next artistic mission, and what it will take to get there. And along the way, it will take some practice. But I now try to look at the practice as not the boring stuff that gets me to some end goal; it IS the journey. Learning a new song, set of chords, beat, or anything is a wonderful opportunity to bring out some new phrasing or emphasis on that fundamental that has never been tried before. The repetition helps it become engrained and second nature. A part of us. All of the branches that touch our lives each day seep down deep into our inner being and spark or interact with the jelling's that form our creative output. And the end result is always an outcome that is unique and adventurous to each of us. But another deeper form of practice comes from being aware of our lives, surroundings, and inner (emotional) and outer (existential) environments. It takes practice to be open to that. Our own unique and personal art forms, they become the practice of our lives, just as the practice of yoga or meditation brings awareness to the deeper parts of our mental and physical states, so does the practice of allowing our art form to encompass who we are, and how we live our lives each and every day. I think we spend too much time as children and adults beating ourselves up about not spending enough time practicing, or perhaps getting the desired result by the "recommended" time. Really those goals are quite arbitrary and not always very helpful. Personally, I am beginning to allow the word practice to define the warm-ups, rehearsing, jam sessions, trying to get gigs, networking, planning projects, singing in the car, hiking in the woods, sleeping, dreaming, and going to my "day job" everyday - those are all part of my personal practice of being a musician, and husband, a father, a friend, a fan, and an observer. Those are all part of my practice of trying to live my own mission in life, and hopefully sometimes I can capture that and express that in one musical form or another from time to time. My hope is to approach practice with a sense of open curiosity and as setting the inspiration for creativity, the final result, the fun stuff - the reason we all do what we do! So what am I trying to uncover? Having just recently completed an album of mostly cover songs, I thought I would tackle the topic of artists recording and performing cover songs. My own experience with this topic begins from working as a musician in Oklahoma. There it seemed hard to get gigs if you didn't play cover songs that sounded like the originals. Moving to Portland, I have found the opposite to be true. Many prefer to hear artists that do primarily original material. Instead of spending the entire article on the merits of either model, I wanted to explore the topic of when did it become an expectation that performers create their own material? It seems to be an expectation of rock artists that you don't see in many other musical genres. Many, but not all, pop and country performers rely on professional composers and arrangers. Orchestras and choral ensembles do not typically present original pieces unless they are commissioning a new work from a contemporary composer. Folk music has traditionally been passed down through the generations to be re-used to express the human plight. Jazz ensembles often rely heavily on standards which continue get re-arranged and re-interpreted. Artists such as Frank Sinatra and Ella Fitzgerald relied almost exclusively on arrangers and composers to create the material that they performed. Music composition and arranging are very different skill sets than singing, playing an instrument, and expressing the emotion of a song. So when did we expect that to be a legitimate rock artist today musicians had to excel in all of these areas at once? Don't get me wrong; there are countless performers and bands that are very good in both areas. However, have we diluted the quality of composition and musicianship in the process? Another point I have often thought about is that when an artist stops performing, does that mean that their music should not have the opportunity to be performed by others? We would not consider a symphony orchestra to be unoriginal because they are performing the music of Mozart. So why would we consider pop/rock act to be unoriginal for performing music of the Beatles? I don't pretend to know the "right" answer. I guess this also begs the existential question of does one actually create music or is the music just another entity that just uses the composer as a means of getting written down? It is important though if an artist does choose to record and perform cover tunes that one legally obtain the performance rights so that the original composer or their estate is properly compensated for their work! For my second CD release I had my own reasons for choosing to do cover songs. My first two personal goals on this album were to improve my technique as a vocalist and also as a recording engineer. 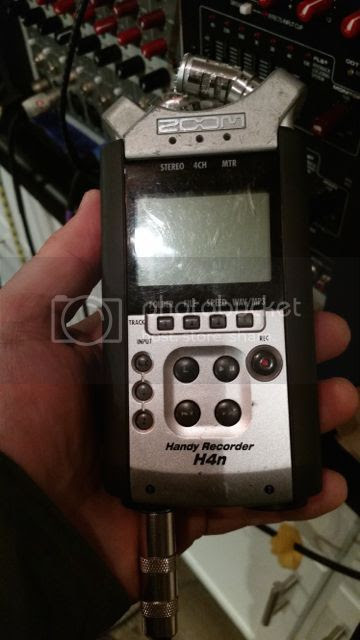 I spent a few years working in group and individual voice classes and lessons on the first item while also investing in better recording tools, re-creating my recording space, and incorporating some valuable lessons and feedback with regard to recording technique (these will all likely be topics of future newsletters). My third goal was to improve as a songwriter, and I decided that working with some great, established songs and re-arranging them based on the emotional response that those songs triggered within me would be a good way to become better versed in what it takes to create well composed music. A big musical influence to me throughout my life has been the late Michael Hedges (http://www.nomadland.com/Point_A.htm). One of the most thrilling parts of his live shows were the eclectic covers that he sprinkled in the midst of his sonically rich original material. In the future, I look forward to again recording and performing original music and have many ideas already in the works! However based on the joy I felt in the experience of recording Under the Covers, I know that in the future I will surely incorporate cover songs that resonate with me personally and that will hopefully complement and enhance my musical catalog! Hello my dear friends and supporters and welcome to my first newsletter! Today, it is with great joy and gratitude that I announce the release of my second album - UNDER THE COVERS! This work represents the apex of several years of work whereby I have received loving assistance, support, advice, and general encouragement from many of you, some of whom contributed their wonderful talents to various pieces on this record. As the title suggests, this record is a collection of 15 beautiful cover songs that I have chosen based on their individual meaning to me and the place they each hold in my heart. In addition there is one original bonus song at the end of the album called LETS COUNT SILENCES that I co-wrote with a dear friend and artistic collaborator, A. Molotkov. The general theme of UNDER THE COVERS is one of reaching out for connection with others, one that I think we can all relate to. 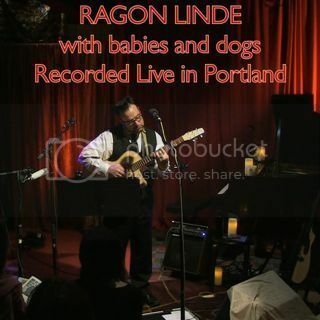 You can now purchase UNDER THE COVERS from CD Baby using the link http://www.cdbaby.com/cd/ragonlinde2 or from iTunes searching under Ragon Linde. If you have subscribed to the free 3-month Apple Music trial, you can stream the entire album using the link https://itun.es/us/bloO8. For my friends in and around Portland, I want to also invite you to come celebrate the release of UNDER THE COVERS with me at the Analog Cafe on Sunday August 16th. The show starts at 6:30 p.m. and you can save money by purchasing advanced tickets at https://tickets.aftonshows.com/RagonLinde. Over the coming days and weeks, I will be speaking further on the making of this record, the reasons why I selected these songs, and mentioning some of the individual contributions from many of you in the recording and production of these songs. You can follow these discussions on Facebook. Again, my warmest gratitude to each of you for your interest and support. If you like what you hear, please help me spread the word by sharing these links with your friends and family! Along with being a bass hero and prog music favorite and pioneer, Chris Squire was also a great person and loved meeting fans. I had the opportunity to meet Chris and the rest of Yes at a fan event before a show in California in 2001 on the Magnification tour. He brought that same energy and joy of his playing to his interactions with all the fans that day. For further information on Chris Squire, please visit yesworld.com.